K9 Granola Factory's Bed & Bath Collection is a unique skin care line all Natural and effective line of products designed for the health and well-being of your pet and their people. Used in conjunction these formulas are great for taking care of your pet while protecting them naturally. Each one is specially formulated with goats milk, essential oils, and other natural ingredients to combat a variety of skin and coat conditions. K9 Granola Bath Bombs are a great way to have fun during your dogs bath time and still give them a good clean. These are also formulated with goats milk and essential oils combatting fleas, ticks, and anxious puppies natural. Finish off your dog grooming regimen with our Soft Paw formulas. These easy to use rubs are 100% natural and soothe rough, dry, sore, or cracked skin on your pets paws. 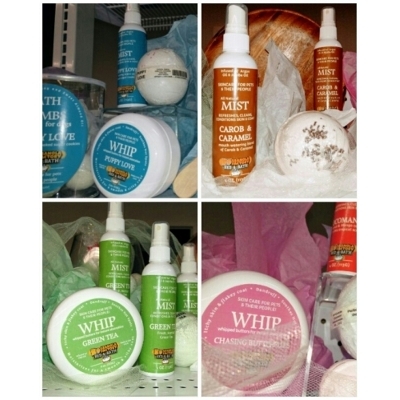 Choose from our many scents avaliable. Puppy Love, Carob N Caramel ,Green Tea ,Oatmeal Honey, Nag Champa, Cucumber Mint ,Cocomango and more. Up to 75% off Selected Winter Wear! Buy 2 at 50% off and get ONE FREE! PLUS 30% OFF SPRING AND SUMMER ATTTIRE! The weather is nice now, but If you want to get a great price on a new winter coat or sweater, the best time to buy is NOW! 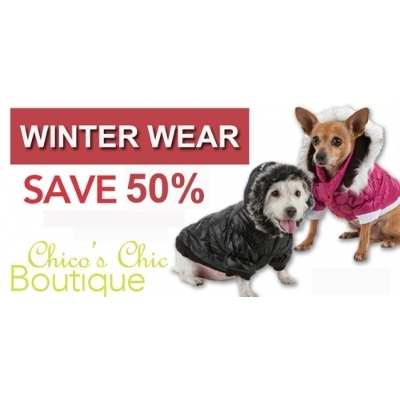 Chico's is running the biggest Clearance ever to clear out all remaining winter inventory. That means big discounts for smart shoppers. Save BIG and keep Your Furbabies Warm & Cozy next winter with these OFFERS! 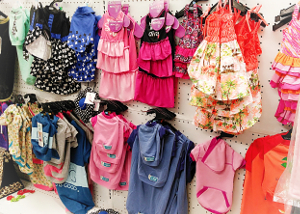 Shop and Save on Jackets, Coats, Sweaters and all Winter Wear UP to 50% OFF - CASUAL CANINE /ZACK & ZOEY/EAST COAST & More. GET READY TO HUNT OUT THE DEALS! Check out our new Spring and Summer styles! BEEP, BEEP! Chico's Now Offers Local Delivery! Hey have you heard the news? Local Delivery is NOW AVAILABLE in the Barcroft Area. 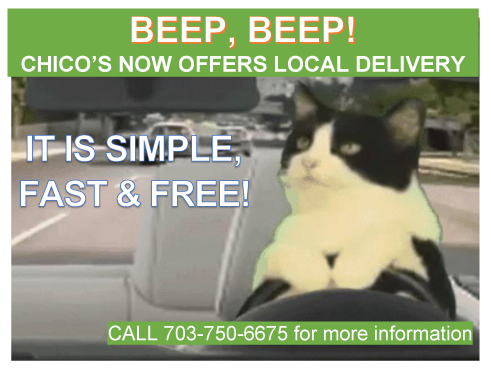 Our delivery radius currently includes parts of Falls Church, Annandale, Alexandria, Shirlington, Seven Corners & Arlington! Please call the store to confirm that we will deliver to your zip code. We may be open to expanding our delivery radius in the near future. Please do not hesitated to let us know if you have a special request, we will do our best to accommodate you.